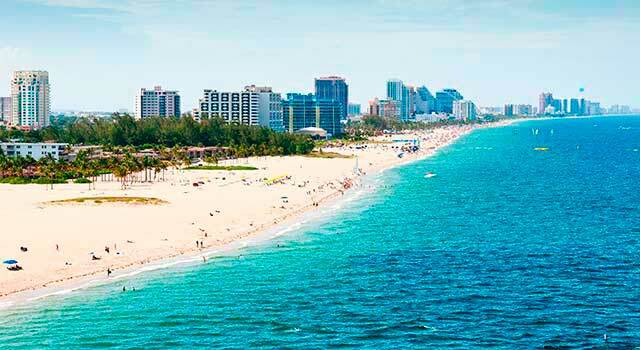 Use this website to quickly find the most important information about Fort Lauderdale - Hollywood Airport: Flights (Departures, Arrivals), Parking, Car Rentals, Hotels near the airport and other information about Fort Lauderdale Airport. 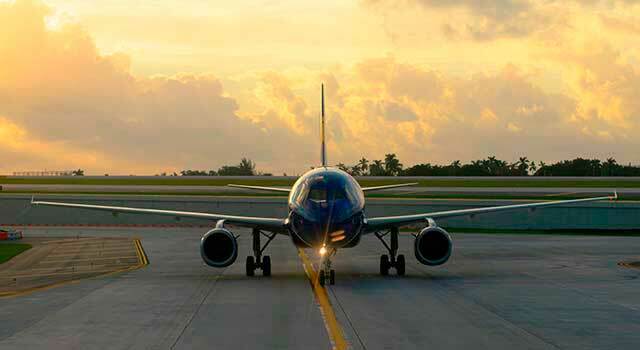 Plan your travel to Fort Lauderdale Airport with the information provided in this site. Fort Lauderdale Airport (IATA: FLL, ICAO: KFLL), officially known as Fort Lauderdale - Hollywood International Airport, is the airport serving Fort Lauderdale and the cruise terminals at Port Everglades. 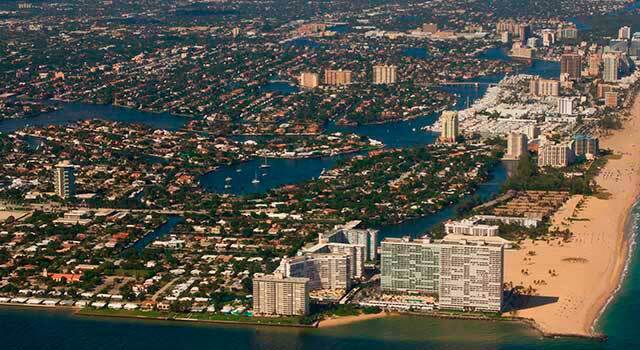 The airport is located 3 miles (5 km) southwest of the city centre of Fort Lauderdale and 21 miles north of Miami. Fort Lauderdale airport is categorized as a major hub airport that serves commercial traffic (by the US Federal Aviation Administration). Fort Lauderdale - Hollywood Airport served 26,9 Million passengers in 2015. There are four terminals in Fort Lauderdale Airport. The Terminal 4 handles all non-precleared international arrivals. The top ten busiest routes are domestic and international destinations, being the following ones: Atlanta, Bogotá, NY, Port-au-Prince, Nassau, Lima, Panamá City, Cancún, Santo Domingo and Newark. In 2015 FLL airport handled 26,941,511 million passengers. 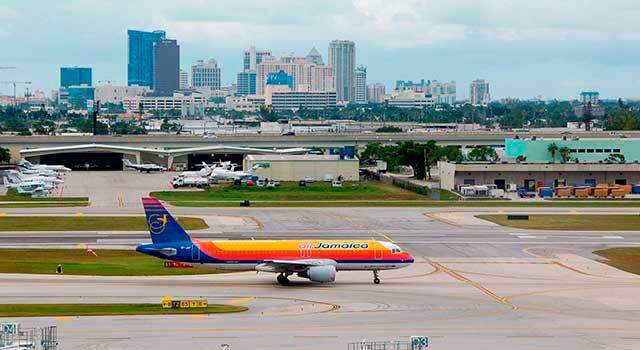 In terms of passenger traffic, FLL airport is ranked as the 21st busiest airport in all the US and is ranked as well as one of the world’s 50 busiest airports. 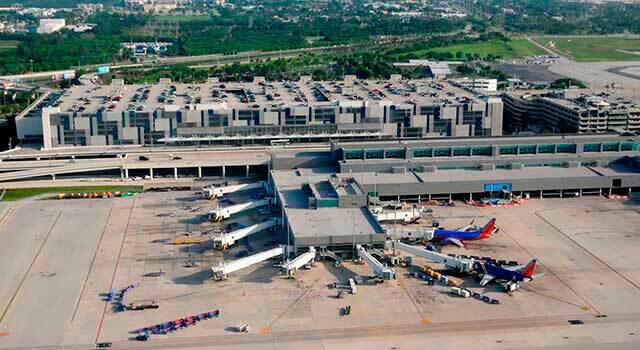 Fort Lauderdale airport has 4 Terminals: T1, T2, T3, and T4. The airport serves as a hub for Silver Airways, Spirit, IBC Airways and Tropic Ocean Airways. It is the new terminal (yellow) with 18 gates and two concourses, B and C. It has a United Club. Known as the Delta terminal (red) it has 9 gates and 1 Concourse D. It has a Sky Club (Delta). it has two concourses with a total of 20 gates. It is also known as the International Terminal. It has two concourses (G and H) with 11 gates. In the future it is planned to have 14 gates more. - Terminal 1: Southwest, Alaska, Allegiant, Frontier, United, WestJet and Virgin America and Silver Airways. - Terminal 2: Air Canada and Delta Airlines. - Terminal 3: American Eagle, American, JetBlue, Azul, Norwegian, Bahamasair, Spirit (Departures) and Dynamic International. - Terminal 4: Spirit, Avianca, Volaris, Air Transit, Caribbean, Copa, Cape Air, Spirit, SkyBahamas, Sunwing and TAME. - Bus: Broward County Route 1 links the airport with different places along Fort Lauderdale. - Trail-Rail: Runs to different counties: Broward, Palm Beach and Dade as well as Miami. - Taxi: various taxi companies provide service. - Shuttles: there are shuttles that run between the four terminals as well as hotel shuttles that provide service to the hotels/motels located in the vicinities. - Shared Rides: Go airport provides service. Uber and Lyft are authorized at FLL airport. The airport is provided with lots of services as shops, restaurants, cafés and bars with national and international products. Other services at the airport are: free Wifi, Business Center, Parking, Medical Services, Assistance, etc. check here the different car rental agencies and options that do you have! The Department is located on Level 2, in the Rental Car Center. Closed during weekends and holidays.